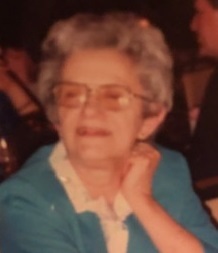 Noyes, Florence, 92, of Washington Road, died peacefully on November 4, 2018 surrounded by her loving family. She was the wife of the late Robert B. Noyes. Born in Barrington, a daughter of the late Custodio and Louise (Jaros) Silva, she lived in East Providence for 16 years at the Hattie Ide Chaffee Home, previously residing in Barrington. Mrs. Noyes was a member of the St. Matthew Church Altar Guild and former member of the Barrington Home Den. She enjoyed cooking, baking, sewing and traveling. She is survived by two daughters, Deborah Ezovski and her husband Ralph of Barrington, Linda N. DeMendonca of East Providence; three sons, Michael Noyes and his wife Penny of Lexington, NC, Thomas S. Noyes and his wife Lori of Barrington and Robert B. Noyes and his wife Ann of Barrington and seven grandchildren, Elizabeth, Lucas, Thomas, Nicholas, Sara, Justin and Sean. She was grandmother of the late Eric, Andy and Michael Noyes and sister of the late Mary Lou Edwards. A Memorial Service will be held on Saturday November 10, 2018 in the W. RAYMOND WATSON FUNERAL HOME, 350 Willett Avenue, Riverside at 1 p.m. Calling hours and flowers are respectfully omitted. Contributions in Florence’s memory to RI Multiple Sclerosis Society, 205 Hallene Road, Suite 209, Warwick, RI 02886 would be deeply appreciated. My mom ‘Marie’ and I send thoughts and prayers to Mike and entire Noyes family. I am saddened to hear about your mom. Although I haven’t seen her for a long time, I still have fond memories of her. I remember a good sense of humor and fun times at your home. Hope you are all well. Sorry for your loss. Tom,Linda,Bobby,Deb,Michael, A thought of comfort and condolences to the Noyes family. To someone who will be missed dearly. Sorry about your loss. Our prayers go out to Tom and Lori and the entire family. How I loved your Mom. I can still hear her laugh & see her smile. Our sincere condolences to the whole family. Tim and I have and will always have so many wonderful memories of Florence. She was the best of the best. Prayers to all.